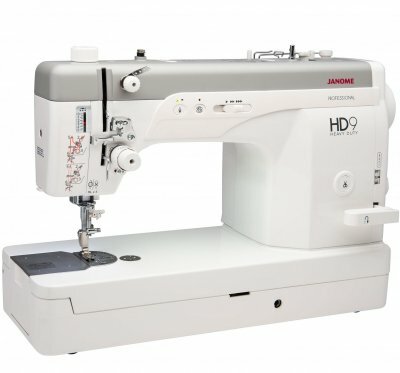 Janome HD9, a new addition to the Professional Series. Offering fast speeds and with seamless smart design, making it the perfect machine for sewing and quilting! The all-metal flatbed large flat bed area is 8.86 inches x 5.51 inches. She is a heavy duty machine! -Heavy Weight Thread Guide- Increases thread control for heavy duty fabrics and heavy weight thread. -8 Ball bearings- increased stability and smoothness giving high performance. -HD9 is compatible with Japanese Industrial Standard feet. It's an excellent machine for quilting, garment sewing, leather making and heavy duty sewing. Please ask us about the additional foot kits available: leather kit, garment kit and ruler quilting kit. 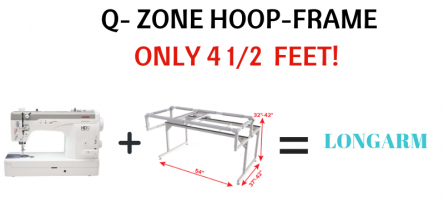 Dreaming about having a smaller longarm frame? The Grace SureStitch is both a stitch regulator and constant stitch speed control. In Stitch Regulation mode, it takes advantage of your machines full range of speeds. As you speed up and slow down, so will your machine, keeping all of your stitches the same length. 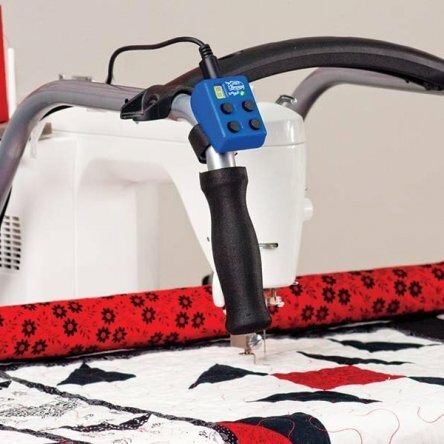 When used as speed control, the SureStitch lets you adjust the speed of your sewing machine with the push of a button. Call Gigi's Fabric Shop today to see the Janome HD9 Professional and the Q-Zone Frame. We are located in Brandon, Florida on the outskirts of Tampa. The HD9 makes a great quilting sewing machine, garment sewing machine and heavy duty professional machine. Introducing the MC6700P. This machine has a large sewing area with 10 inches (255mm) to the right of the needle along with 1200 SPM (stitches per minute) of straight stitch speed for professional grade performance in a convenient, top-loading bobbin. It has a full metal frame and vibration suppression system to ensure pleasurable, smooth and high performance sewing. The Janome MC6700P lightning is a fantastic feature. True white lightning. This is a Quilters Dream Machine with a full 11” of bed space to the right of the needle and a retractable High Light that gives you a shadow-free workspace. 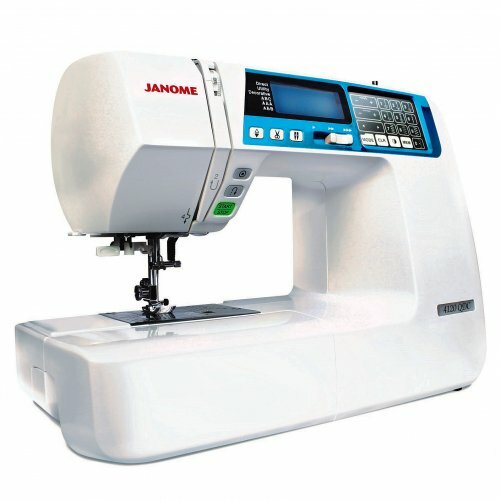 For more information follow this link to Janome.